The big PR mess involving the quality of a bag that shipped with the Fallout 76 Power Armor Edition may finally be coming to a close. Bethesda tweeted out a link for those who bought the Power Armor Edition to request a replacement canvas bag instead of the cheap nylon one that they received. For those who haven’t heard about the story, Fallout 76 offered a Power Armor Edition as a pre-order for $200. Among the goodies included were a replica power armor helmet and a canvas West Tek duffel bag to carry it in. However, when customers received the physical goods, they were disappointed to find that the duffel bag was made of a cheap nylon instead of the promised military-style canvas. There was no warning about the material switch. Bethesda eventually said that due to an unavailability of materials, they had to switch to a nylon carrying case. Customers were not pleased, especially given that they weren’t warned about the change. Bethesda then offered 500 Atoms, Fallout 76’s premium currency, to those who bought the Power Armor Edition. That’s worth about $5, and fans were angered even more. Things got even hairier for Bethesda when someone pointed out that Fallout Influencers were given canvas bags (of a different design) during a promotional event at The Greenbrier in West Virginia. 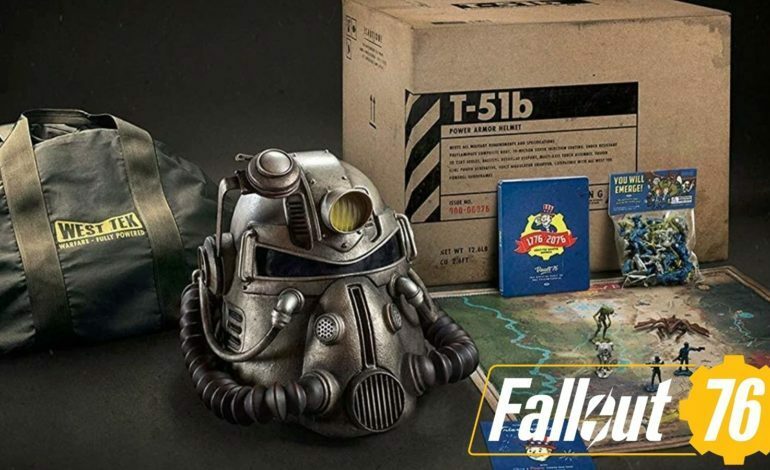 If you login to the support page via the link, click Fallout 76, and scroll down a bit, you’ll find a button to ‘Submit a Ticket.’ From there, clicking ‘Billing/Purchase/Code’ will offer a sub-category for the Power Armor Edition Bag Replacement Request Form. It’s a bit of a pain to fill out, including having to take a picture of your receipt, but Bethesda will soon start the process to get the promised bags to those who purchased them.